This is an old revision of this page, as edited by ClueBot NG (talk | contribs) at 21:27, 2 December 2016 (Reverting possible vandalism by 173.17.201.23 to version by 81.153.184.195. Report False Positive? Thanks, ClueBot NG. (2857722) (Bot)). The present address (URL) is a permanent link to this revision, which may differ significantly from the current revision. 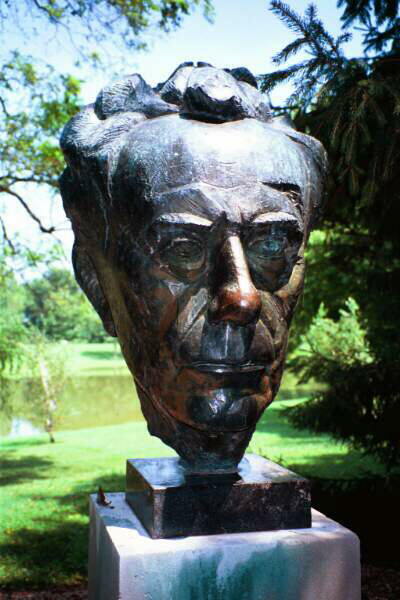 Tillich was born on August 20, 1886, in the small village of Starzeddel (Starosiedle), Province of Brandenburg, which was then part of Germany. He was the oldest of three children, with two sisters: Johanna (born 1888, died 1920) and Elisabeth (born 1893). Tillich’s Prussian father Johannes Tillich was a conservative Lutheran pastor of the Evangelical State Church of Prussia's older Provinces; his mother Mathilde Dürselen was from the Rhineland and more liberal. When Tillich was four, his father became superintendent of a diocese in Bad Schönfliess (now Trzcińsko-Zdrój, Poland), a town of three thousand, where Tillich began secondary school (Elementarschule). In 1898, Tillich was sent to Königsberg in der Neumark (now Chojna, Poland) to begin his gymnasium schooling. He was billeted in a boarding house and experienced a loneliness that he sought to overcome by reading the Bible while encountering humanistic ideas at school. In 1900, Tillich’s father was transferred to Berlin, resulting in Tillich switching in 1901 to a Berlin school, from which he graduated in 1904. Before his graduation, however, his mother died of cancer in September 1903, when Tillich was 17. Tillich attended several universities—the University of Berlin beginning in 1904, the University of Tübingen in 1905, and the University of Halle-Wittenberg from 1905 to 1907. He received his Doctor of Philosophy degree at the University of Breslau in 1911 and his Licentiate of Theology degree at Halle-Wittenberg in 1912. During his time at university, he became a member of the Wingolf in Berlin, Tübingen and Halle. That same year, 1912, Tillich was ordained as a Lutheran minister in the Province of Brandenburg. On 28 September 1914 he married Margarethe ("Grethi") Wever (1888–1968), and in October he joined the Imperial German Army as a chaplain during World War I. Grethi deserted Tillich in 1919 after an affair that produced a child not fathered by Tillich; the two then divorced. 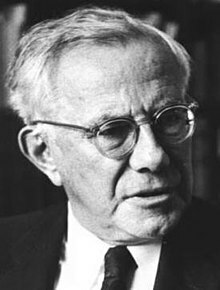 [page needed] Tillich’s academic career began after the war; he became a Privatdozent of Theology at the University of Berlin, a post he held from 1919 to 1924. On his return from the war he had met Hannah Werner-Gottschow, then married and pregnant. In March 1924 they married; it was the second marriage for both. She later wrote a book entitled From Time to Time about their life together, which included their commitment to open marriage, upsetting to some, but they moved together into old age. At the age of 47, Tillich moved with his family to America. This meant learning English, the language in which Tillich would eventually publish works such as the Systematic Theology. From 1933 until 1955 he taught at Union Theological Seminary, where he began as a Visiting Professor of Philosophy of Religion. During 1933–34 he was also a Visiting Lecturer in Philosophy at Columbia University. These works led to an appointment at the Harvard Divinity School in 1955, where he became one of the University’s five University Professors – the five highest ranking professors at Harvard. He was primarily a professor of undergraduates because Harvard did not have a department of religion for them, but thereby he was more exposed to the wider University and "most fully embodied the ideal of a University Professor." In 1961 Tillich became one of the founding members of the Society for the Arts, Religion and Contemporary Culture, an organization with which he maintained ties for the remainder of his life. During this period, he published volume 2 of Systematic Theology and also the popular book Dynamics of Faith (both 1957). His career at Harvard lasted until 1962 when he moved to the University of Chicago, remaining a professor of theology there until his death in 1965. 1)	The Anxiety of Fate and Death a. The Anxiety of Fate and Death is the most basic and universal form of anxiety for Tillich. It relates quite simply to the recognition of our mortality. This troubles us humans. We become anxious when we are unsure whether our actions create a causal damnation which leads to a very real an unavoidable death (42-44). “Nonbeing threatens man’s ontic self-affirmation, relatively in terms of fate, absolutely in terms of death” (41). b. We display courage when we cease to rely on others to tell us what will come of us, (what will happen when we die etc.) and begin seeking those answers out for ourselves. Called the “courage of confidence” (162-63). 2)	The Anxiety of Guilt and Condemnation a. This anxiety afflicts our moral self-affirmation. We as humans are responsible for our moral being, and when asked by our judge (whomever that may be) what we have made of ourselves we must answer. The anxiety is produced when we realize our being is unsatisfactory. “It [Nonbeing] threatens man’s moral self-affirmation, relatively in terms of guilt, absolutely in terms of condemnation” (41). b. We display courage when we first identify our sin; despair or whatever is causing us guilt or afflicting condemnation. We then rely on the idea that we are accepted regardless. “The courage to be is the courage to accept oneself as accepted in spite of being unacceptable” (164). 3)	The Anxiety of Meaningless and Emptiness a. The Anxiety of Meaninglessness and Emptiness attacks our being as a whole. We worry about the loss of an ultimate concern or goal. This anxiety is also brought on by a loss of spirituality. We as beings feel the threat of non-being when we feel we have no place or purpose in the world. “It [Nonbeing] threatens man’s spiritual self-affirmation, relatively in terms of emptiness, absolutely in terms of meaninglessness” (41). b. We display the courage to be when facing this anxiety by displaying true faith, and by again, self-affirming oneself. We draw from the “power of being” which is God for Tillich and use that faith to in turn affirm ourselves and negate the non-being. We can find our meaning and purpose through the “power of being” (172-73). ——— (1956) [1925, Die religiose Lage der Gegenwart; Holt 1932], The Religious Situation, Meridian Press . ——— (1936), The Interpretation of History . ——— (1948), The Protestant Era, The University of Chicago Press . ——— (1948), The Shaking of the Foundations (sermon collection), Charles Scribner's Sons . ——— (1951–1963), Systematic Theology (3 volumes)|format= requires |url= (help), University of Chicago Press . ——— (1963), Christianity and the Encounter of the World Religions, Columbia University Press . ——— (2003) [1963, Charles Scribner’s Sons], The Eternal Now (university sermons 1955–63), SCM Press, ISBN 0-334-02875-2 . ——— (1965), Brown, D. Mackenzie (ed. ), Ultimate Concern: Tillich in Dialogue, Harper & Row . ——— (1984) , Anshen, Ruth Nanda (ed. ), My Search for Absolutes (posthumous; includes autobiographical chapter), Simon & Schuster, ISBN 0-671-50585-8 . ———, "The Conquest of the Concept of Religion in the Philosophy of Religion", What is Religion? ——— (1970), Brauer, J.C (ed. ), My Travel Diary 1936: Between Two Worlds, Harper & Row . ^ O’Meara, Thomas (2006), "Paul Tillich and Erich Przywara at Davos", Gregorianum, 87: 227–38 .